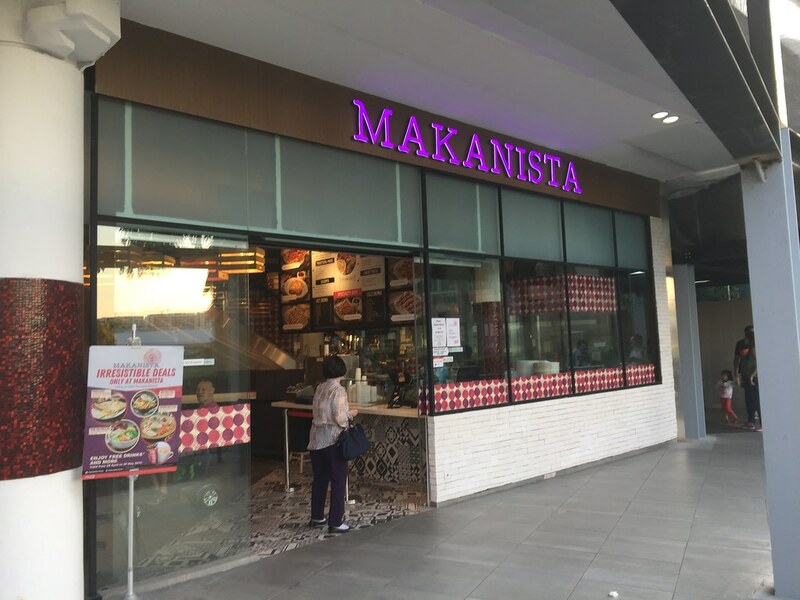 The people behind Food Junction has opened a new concept called Makanista at Tampines Mall. The convivial dining space is located on the ground floor of Tampines Mall, with a chic cafe interior. Four different stalls - Chicken Rice, Yong Tau Foo, Western, and Prata & Desserts offers diners both classic hawker favourites as well as inventive creations with a little twist. There is no pork, no lard here. It is in the process of applying for their Halal certification to cater to a wider group of diners. We started our dinner from the Western station with the Beef Hamburg & Fries ($10.90). 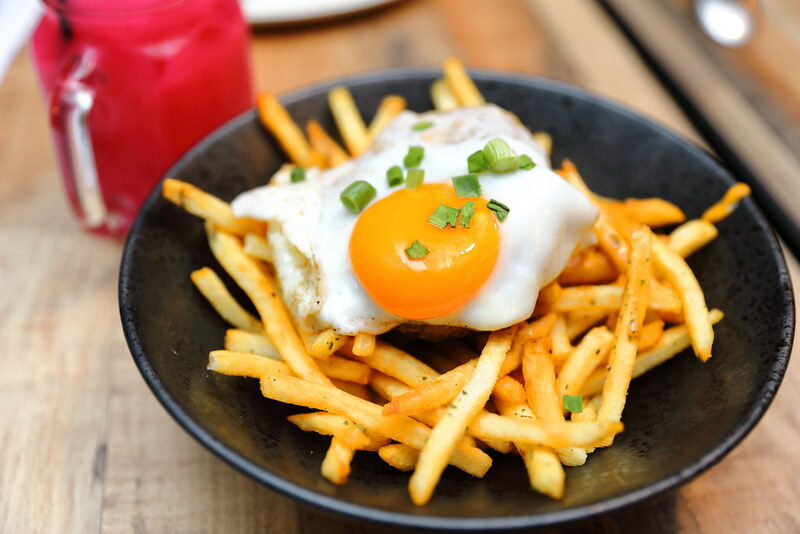 On top the mound of fries is a whole beef patty and a sunny side up egg. It is like having a full set meal in a dish less the buns. The fries are dressed in a decadent black pepper and truffle cheese sauce, that goes very well with the crispy fries. For those that don't take beef, there is a chicken hamburg verison at $8.90. Bored of the usual cream and tomato base pasta? 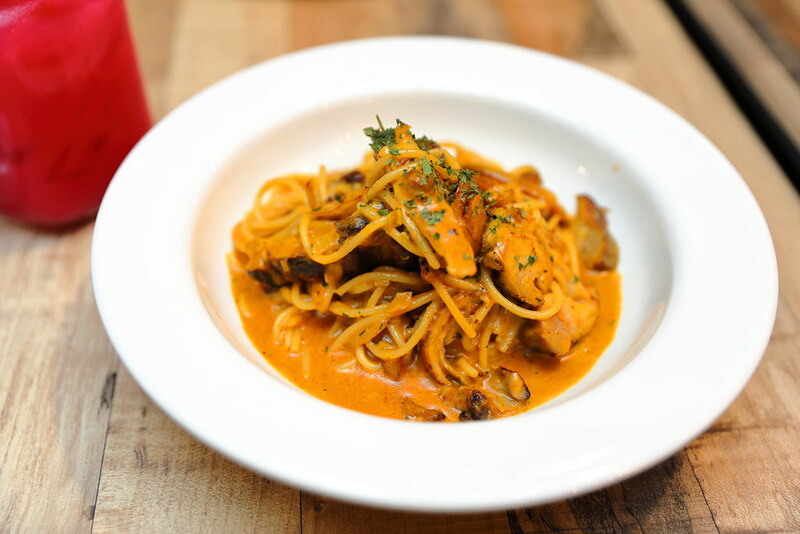 How about a little local twist with the French Chicken Curry Pasta ($7.50). The curry sauce is a concoction of curry. chiili powders, turmeric. coconut milk and whipped cream. It is something familiar but unusual in a western pasta dish, which turns out pretty good. It was well received by my other dining friends too. 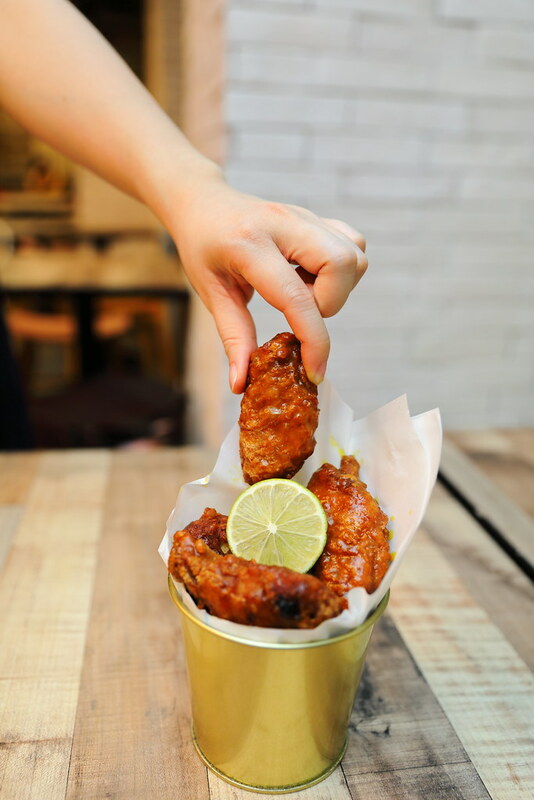 You can also find Korean-style fried chicken at the Western station such as the Spicy Honey Mustard Wings ($7.50 for 6pc). The chicken wings are dipped in a batter and deep fried, before being tossed in the different sauces. They are crispy and juicy. Other flavours available include Pesto Cheese and Kicap Manis. A great snack to share with friends and family is the Bakwan Sayor ($2.80) from the Yong Tau Foo station. 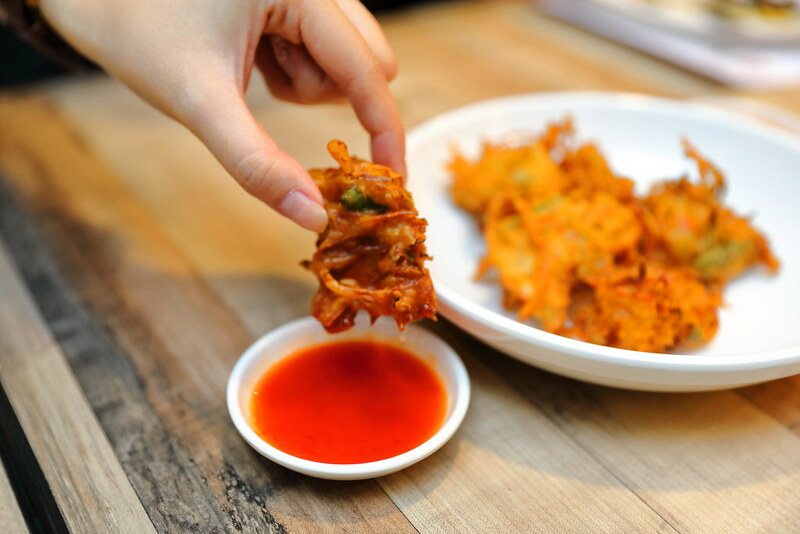 It is fried vegetable fritter which consists of shredded cabbage, carrots, chilli, beansprouts and spring onions. This is best eaten with the Lingham chilli sauce. 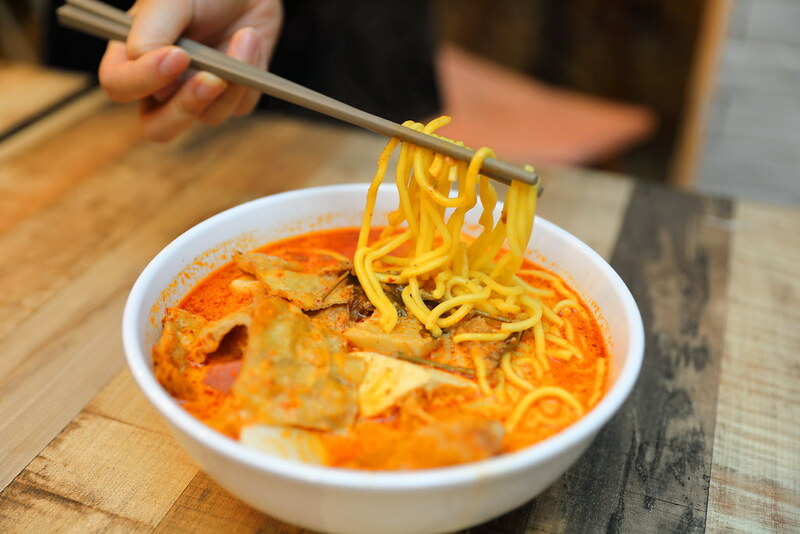 Yong Tau Foo is a common dish that we can find in any food centre or foodcourt but have you hear of Soto, Mee Siam, Satay and Curry Yong Tau Foo? Yes, besides the normal Yong Tau Foo whereby diners get to pick 7 items plus a choice of rice or noodles (yellow noodles, bee hoon, hor fun, rice roll, thick bee hoon) for $6.50, for an additional one dollar you can change the soup base. After sampling the 4 different soup flavours, my favourite goes to the Curry Yong Tau Foo while I think the satay will complement the dry version better. If you order the Combo Meal - Duo ($16.50) from the Chicken Rice station, it will be served on a ceramic rattan ' dulang' or tray. 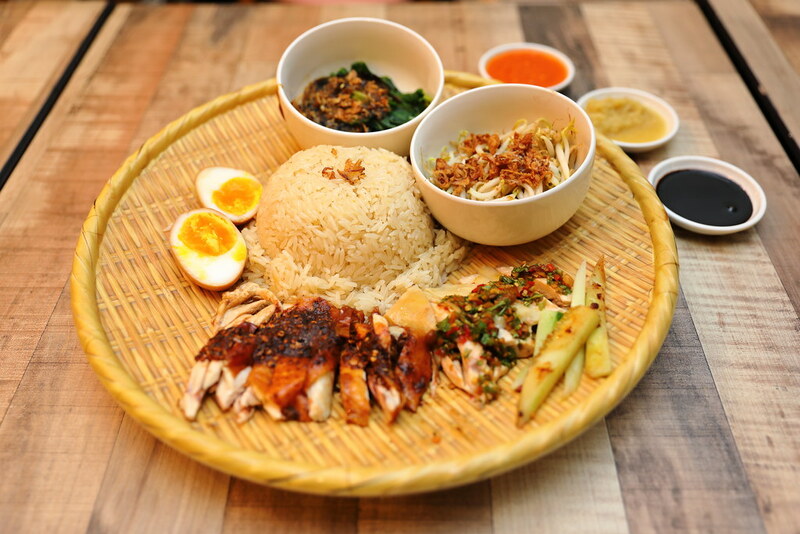 This way of serving is similar to how the traditional Nasi Ambeng is presented. Besides the normal Hainanese and roasted chicken, the stall offers both Thai and Mala style chicken rice too. I would recommend sticking to the traditional. The combo meal also comes with a soft drink, a Japanese inspired house special ramen egg and sides like bean sprouts, fresh vegetables in oyster sauce or tahu goreng. My favourite station at Makanista is the Prata station for its specialty pratas which are unique and delicious. 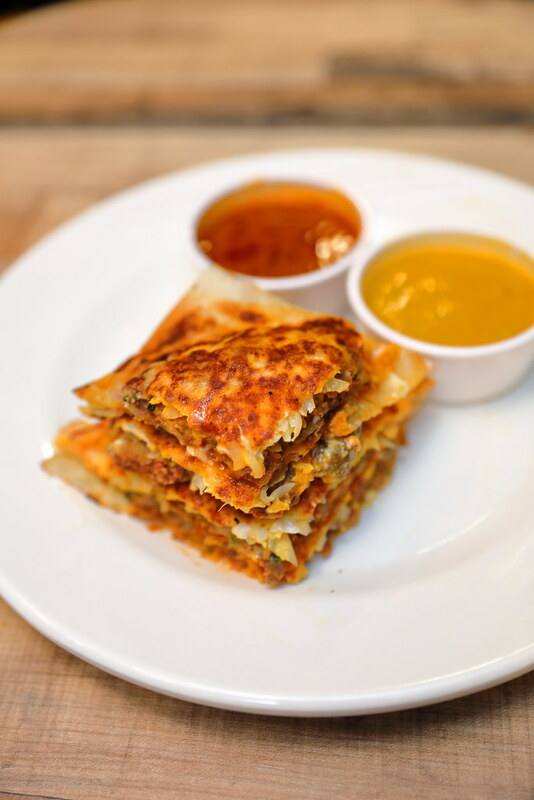 We start with the Mutton Prata Burger ($8.50) which is their own rendition of Ramly burger in a murtabak. Besides the mutton patty, you can also find sauteed onions and fried egg with mayonnaise and black pepper sauce in it. 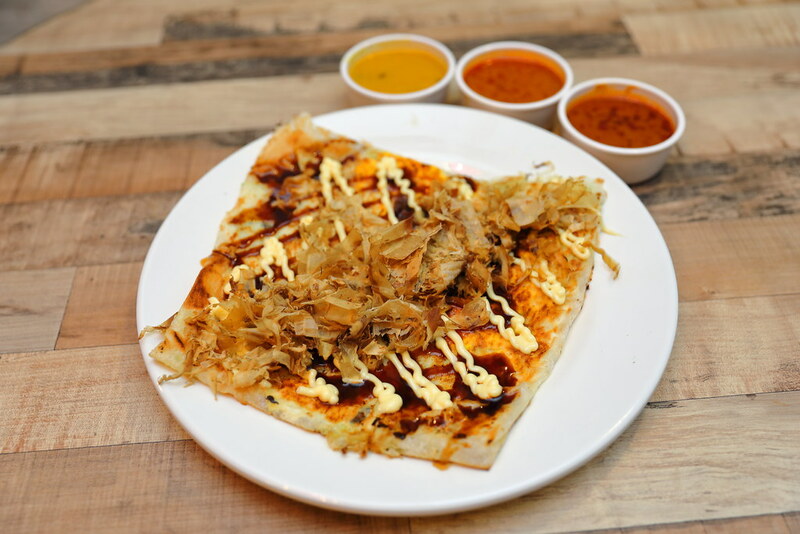 A must try is the Okonomiyaki Prata ($7). 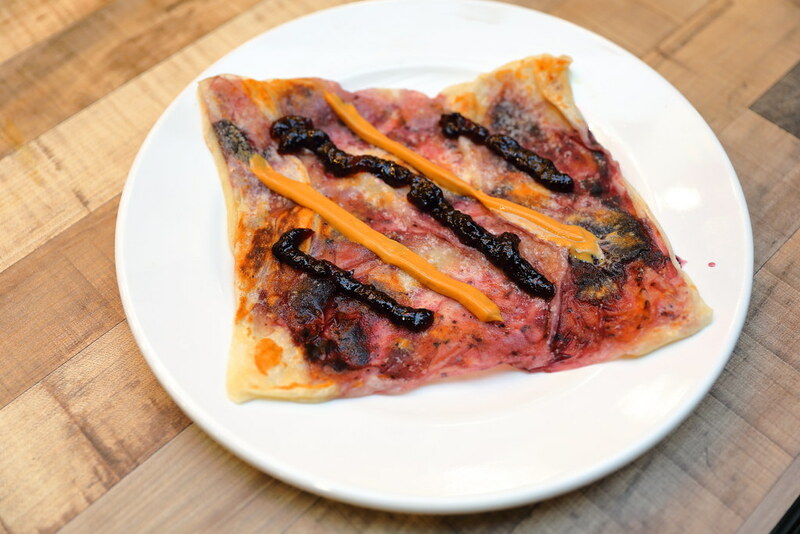 Inspired by the Japanese dish, the prata is wrapped with shredded carrots, purple and white cabbage, cheese and egg. It is then drizzled with mayonnaise and sweet okonomiyaki sauce, topped with bonito flakes. This is one of its kind prata, with textures and flavours that wins me over. This is like prata gone international. Other savoury prata include Chicken Luncheon & Floss and Special Tandoori Chicken. For the sweet take of the prata, there is the Peanut Butter and Jam Prata ($2.80). This is a brilliant combination of nuttiness and sweetness coming together. 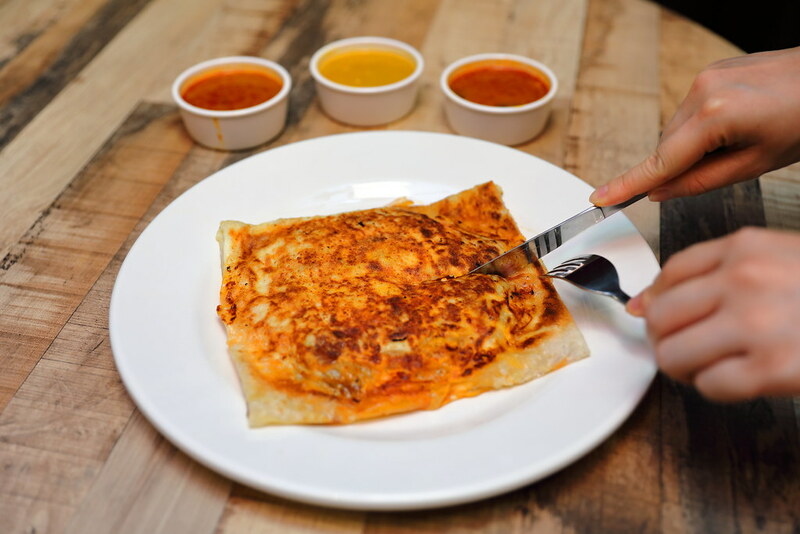 It brings the appreciation of the tradition prata to another level. Overall I think the food at Makanista is really unique and interesting. However for some of the items, it still need more adjustment to get it right. For the time being, I would recommend going for the specialty pratas.